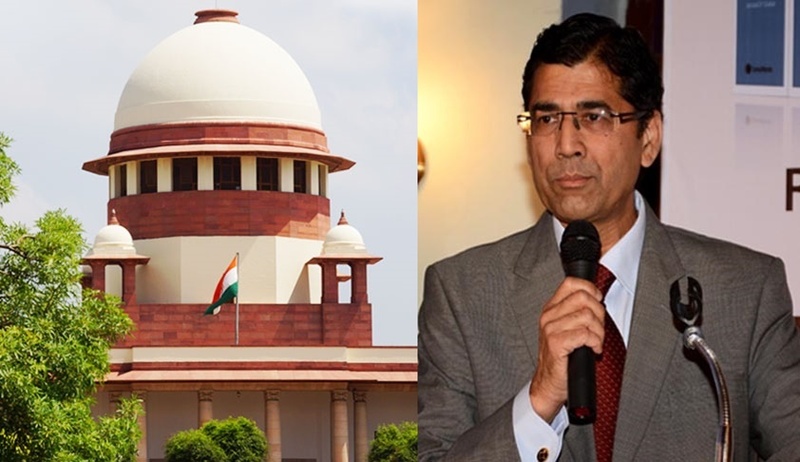 On day two of the hearing in the 5-year-old foreign law firms case, senior counsel Arvind Datar, appearing on behalf of six UK-based law firms, submitted before the Supreme Court on Monday that the Madras High Court judgment in AK Balaji v BCI & Ors may not be disturbed to the extent it has been held therein- “there is no bar either in the Advocates’ Act of 1961 or the BCI rules for the foreign law firms or foreign lawyers to visit India for a temporary period on a fly-in and fly-out basis, for the purpose of giving legal advice to their clients in India regarding foreign law or their own system of law and on diverse international legal issues”. “What is the regulatory mechanism in respect of these lawyers or firms,” inquired the bench. “There is no mechanism. The role of the BCI begins only in the post enrolment stage,” responded Datar. “The structure of the Advocates’ Act of 1961 and of the rules and regulations framed thereunder is focussed only on the practice in courts. Thirty-40 years ago nobody knew about the trends of chamber practice, cross border practice etc,” he continued. “So you are suggesting there is no regulatory mechanism for foreign lawyers engaging in international commercial arbitration,” the bench asked. “There is none,” replied the senior counsel. “Article 220 of the Constitution also does not require a retired high court judge to possess a license to be able to provide advisory and opinion services,” he continued. “Then there must be 2 regulatory mechanisms in respect of litigation and opinion work; if one does not apply, the other will,” remarked the bench. “Like in the matter of ONGC v. Reliance,” asked the bench. “Yes,” responded Datar. “But even in cases of international commercial arbitration, the party may choose an Indian lawyer. Would the arbitrator be within his rights to not permit a foreign lawyer,” inquired the bench. “That would be shocking internationally,” replied Datar. “So the width of the provision of section 30 of the Advocates’ Act of 1961 shall not apply,” summed up the bench. “Are you confining your arguments to international commercial arbitration? And are you including cases where Indian law, procedural or substantive, is not applicable,” asked the bench. “Yes”, answered Datar. “So international commercial arbitrations which are to be governed by Indian law must fall within the four corners of the Advocate’s Act. Or are you saying that even in such cases an English barrister may appear,” the bench sought to inquire. Datar responded in the affirmative. Continuing with his submissions, the senior counsel requested the bench to decide two points: “One, to determine the ambit of the phrase ‘to practice the profession of law’, as used in Section 29 of the Advocates Act; and two, to interpret the phrase ‘entitled as of right to practice’ in Section 30 of the Act of 1961”. In respect of the latter, Datar advanced, “Does Section 30 confer a right, an immunity or a privilege? Like the right under Article 22 of the Constitution is in the nature of an immunity. I think Section 30 accords a privilege to ‘advocates’, which is not to be interpreted as a disability for persons not enrolled as ‘advocates’”. “The arbitral tribunal cannot say, ‘You, Mr. Smith, are not an enrolled ‘advocate’ and hence, cannot appear’,” he continued. “Section 29 says that there shall be only one class of persons entitled to practice the profession of law. No qualifications have been stipulated as to the nature of practice. In view of its generic language, even ‘fly-in and fly-out basis’ should be included”, remarked the bench. Thereafter, the discussion veered to the Supreme Court judgments on the meaning of ‘practice’. Datar commenced with the interpretation of ‘practice’ in Aswini Kumar Ghosh & Anr v Arabinda Bose & Anr (1952). “Under Article 124(7) of the Constitution, a retired Supreme Court judge may not plead or act, he can write opinions. That is also practice,” remarked the bench. Then the bench directed the senior counsel to the judgments in Pravin C Shah v KA Mohd Ali (2001) and RK Anand v Registrar, Delhi High Court (2009), in so far ‘practice of the profession of law’ has been discussed therein. The bench required Datar to read out the portion of the judgment in Pravin C Shah where it has been observed that “The right of the advocate to practise envelopes a lot of acts to be performed by him in discharge of his professional duties. Apart from appearing in the courts he can be consulted by his clients, he can give his legal opinion whenever sought for, he can draft instruments, pleadings, affidavits or any other documents, he can participate in any conference involving legal discussions etc. Rule 11 (of the Rules framed by the Kerala High Court under section 34(1) of the Advocates’ Act) has nothing to do with all the acts done by an advocate during his practice except his performance inside the court”. “So does the negative aspect of Section 30 of the Advocates’ Act automatically apply,” asked Datar, reiterating the submission regarding rendering of opinion by a retired high court judge. Thereupon, Datar referred to the definitions of ‘advocate’, ‘roll’ and ‘state roll’ in clauses (a), (k) and (n) of section 2(1) of the Advocates’ Act. He mentioned Section 17, dealing with the maintenance of rolls of advocates by the state bar councils. Further, he indicated Section 16, signifying ‘senior advocates’ and ‘other advocates’ as the two classes of ‘advocates’, as the subset of Section 29. Finally, in respect of Section 33 of the Advocates’ Act ‘Advocates alone entitled to practice’, Datar stated, “Please read ‘practice’ in the context of courts”. “It is. Sections 29, 30 and 33 are structured on courts and tribunals, including arbitral tribunals. But that should not mean that persons not enrolled as an ‘advocate’ are excluded”, submitted the senior counsel. “If Section 30 is accorded a strict interpretation, then no one, even chartered accountants, cannot do anything in connection with law”, he continued. “You are trying to establish that ‘practice of the profession of law’ means interface with the court. ‘Acting and pleading’ is the monopoly of the ‘advocate’; rendering opinions we can consider separately,” observed the bench. “‘Acting and pleading’ would even extend to arbitral tribunals. Because to ‘act’ is to argue and to ‘plead’ is to draft,” said Datar. “So appearance before arbitral tribunals would have to be permitted on a case-to-case basis,” ventured the bench. Datar cited a paragraph of the judgment in AK Balaji v BCI, discussing the 2009 judgment of the Bombay High Court in Lawyers Collective v BCI & Ors: “As noticed above, the fact of the case before the Bombay High Court were that the respondents which were foreign law firms practicing the profession of law in the US/UK sought permission to open their liaison office in India and render legal assistance to another person in all litigious and non-litigious matters. The Bombay High Court, therefore, rightly held that establishing liaison office in India by the foreign law firm and rendering liaisoning activities in all forms cannot be permitted since such activities are opposed to the provisions of the Advocates Act and the Bar Council of India Rules. We do not differ from the view taken by the Bombay High Court on this aspect”. Stressing on the distinct character of non litigious matters such as opinion works, he read out the following paragraph- “However, the issue which falls for consideration before this Court is as to whether a foreign law firm, without establishing any liaison office in India visiting India for the purpose of offering legal advice to their clients in India on foreign law, is prohibited under the provisions of the Advocates Act. In other words, the question here is, whether a foreign lawyer visiting India for a temporary period to advise his client on foreign law can be barred under the provisions of the Advocates Act. This issue was neither raised nor answered by the Bombay High Court in the aforesaid judgment”. “Can an Indian lawyer practice the Indian law in America,” inquired the bench. “Yes, but not in courts”, replied Datar. In this regard, senior counsel Rajiv Dutta, representing the appellant, cited the American case of NY Lawyers Country Assn (Roel) [3 N.Y.2d 224], wherein even giving advice solely on obtaining divorce in Mexico in accordance with the Mexican law by a Mexican lawyer in New York was deemed to be unauthorised practice of law. “Can one mix up and say that they are practising law and that they are providing consultancy/support or management services,” asked the bench. “One can come to India to research any particular aspect of the law as a professional, and not as an academic, and then return to his country to advice a client. That would not be practice,” replied Datar. The bench concurred with him on this submission. “‘Practice’ would be understood as implying repetitive, continuing acts, and not one solitary act. And ‘fly in and fly out’ could not mean as being on a regular basis”, remarked the bench. “Yes, like when a property dealer sells houses, it is regarded as a ‘business income’. But if I sell my house, it will be ‘capital gains’,” added Datar.